As promised I have my recipe for the Caramel Bacon Rolls. If it is only two ingredients can it be considered a recipe? Probably not, but I'm doing it anyways. 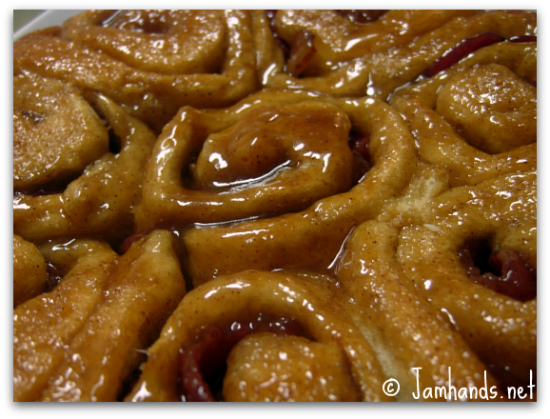 I had already made the regular bacon cinnamon rolls a few times before and I figured I would try using a different flavor of rolls for my contribution to the bacon party. At first I was going to try orange, but at the last minute I decided to try caramel instead, to channel the candied bacon craze that is going on amongst the foodies. I thought it turned out delicious. I would still like to try the orange rolls next time. 3. Prepare a round 9" baking dish with non stick spray. Spread the caramel icing on the bottom of the plate. Remove the cinnamon rolls from the can. 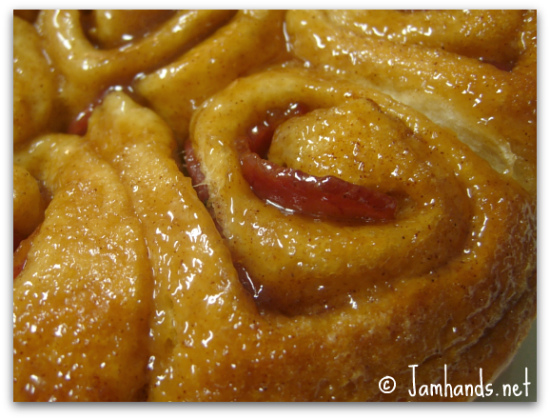 One at a time, unroll the dough gently. Add one piece of bacon on top of the dough strip, and roll it back up. Add to the baking dish. 4. Bake for 20 minutes, checking the rolls at about 18 minutes. You may have to cook for longer to cook through completely, ovens vary. When done, remove from oven and immediately flip it over onto a serving dish so it doesn't get stuck to the pan. I'm sorry, did you say caramel bacon rolls? dear me this sounds amazing. Um, its a recipe to me! :) Love the caramel and the bacon. yummy! Ali, your photos make me want to jump through my computer screen and grab one of these. Can't wait the try them. 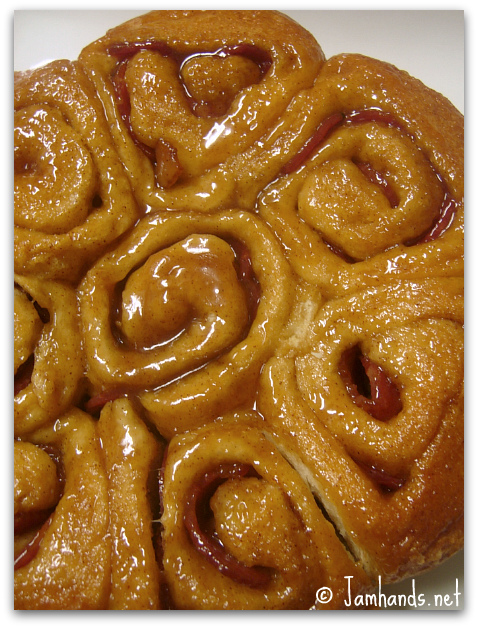 The caramel rolls are going on the shopping list for my next trip to the store.